The perpetual charm of this Federation semi-detached is captured perfectly by this enticing 2 bedroom home, situated in a quiet cul-de-sac, within walking distance to Tempe Station, parks, schools and within easy reach of the CBD. An attractive central living room featuring a period fire place leads to a separate kitchen/dining space enhanced by under cover decking leading to a leafy courtyard backdrop. An exceptional inner west start - totally tempting, immediately rewarding, with scope to extend further, STCA, if so desired. An inner west pocket where leafy streetscapes and family friendliness are the defining attributes, this is an absolute ideal first home or city fringe investment offering. Moments to all amenities. 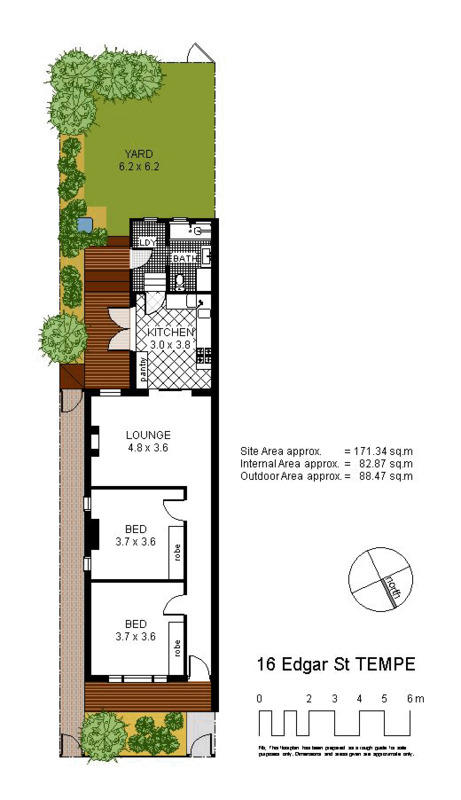 Land = 169.4 sqm approx. Council = $279.37 pq approx. Water = $280.00 pq approx.